More Nicole by OPI PR! A Lit-Teal Bit of Love | This affectionate aqua will shower you with shine. A Million Sparkles | A shimmering sea of blue packed with sprinkles of rainbow glitter. Shoot for the Maroon | A bold and beautiful burgundy that always dreams big. Vio-let’s Talk about Red | There’s so much to say about this bodacious berry! Nicole by OPI is Big 3 Free. I’m looking forward to the berry and the blues. I’m not too big on duo chromes and/or the whole burgundy/gold thing, but it looks good sparkle-y enough that I’d look into it. Any interests for you guys here? This is the last one for today. The Gold Shoulder | A surprisingly approachable shimmery light gold. Best Pink Ever | Seriously. This magnificent metallic pink is the best in town. Where: In stores and online, exclusively at Walmart. Nicole by OPI polishes are Big 3 Free. And with these, I say good night. New Kardashian Kolor Exclusives at CVS! 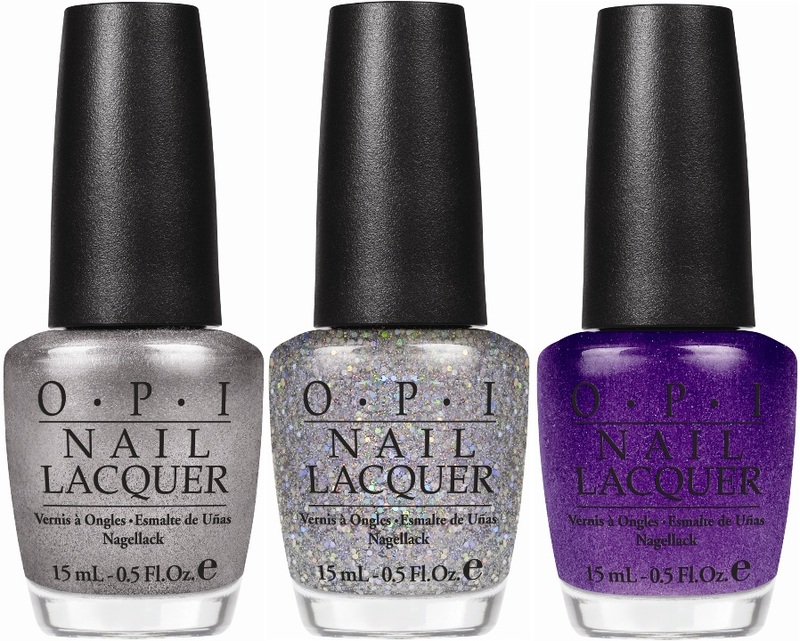 Nicole by OPI announces seven new Kardashian Kolorshades to be exclusively sold at CVS, in stores February 2012. These richly-pigmented, fashion-forward hues include crèmes in bright key lime, pinky peach, poppy red and fuchsia, as well as shimmers in light lilac and deep burgundy. Smile for the Glam-era | The paparazzi is all about this photogenic plum. Back to Reality… TV | This pretty little periwinkle was made for TV. One Big Happy Fame-ily | This lavender shimmer is the American dream. Our Fuchsia’s Lookin’ Bright | This purple-y fuchsia has the world at her hands. Ladies in the Limelight | The most talked-about yellow-lime of our time! Paparazzi Don’t Preach | This pretty blush pink is doing just fine. Strike a Pose | A totally camera red-y color. Which ones are you looking forward to? Let me know in the comments! 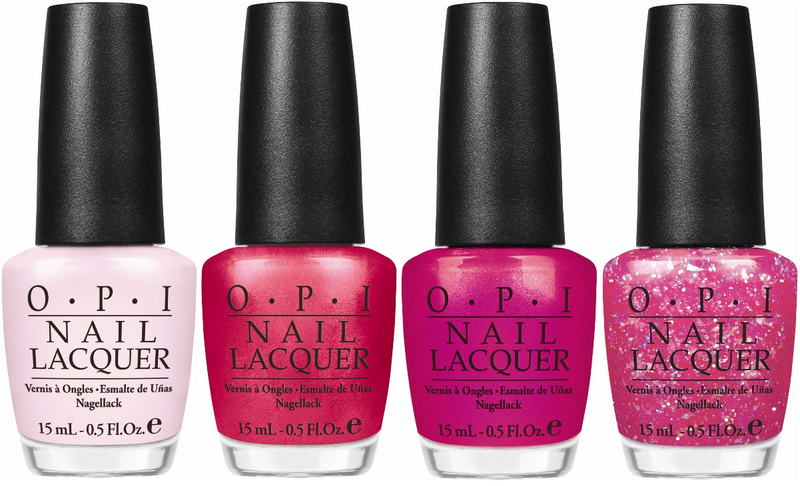 Here I have for you today is the OPI Miss Universe Collection for Summer/Fall 2011. There’s four new colors, including a silver glitter, a gorgeous blue, and two beautiful pinks. Crown Me Already! | A sassy silver sparkle that knows what it’s worth. Swimsuit… Nailed It! | An itsy bitsy teenie weenie vibrant shiny-blue bikini. Congeniality Is My Middle Name | And berry-wine shimmer is what I do best! It’s MY Year | It’s about time for this champagne-rose to shine! This is a limited edition collection available August 2011 at professional salons, including Beauty Brands, Beauty First, Chatters, Dillard’s, JCPenny, Pure Beauty, Regis, Trade Secret, and ULTA for $8.50 USD ($10.95 CAN) suggested retail. Now, I don’t know if it’s clear yet… but I’m not the biggest fan of pinks… But It’s MY Year looks interesting, if it’s not a dupe for Zoya Faye. WHAT THEY SAY: Nicole by OPI announces the launch of Texture Coat, a line of graffiti-style nail art products inspired by OPI’s bestselling Shatter. Available in six chic shades – Gold, Silver, Red, White, Turquoise and Black – Texture Coat offers a simple way to create unique, unpredictable patterns on nails with a quick, at-home application. HOW TO USE IT: To use this product, start with Base Coat Plus, followed by two coats of any Nicole by OPI nail lacquer. Let the lacquer dry completely before applying Texture Coat. Complete the manicure with Top Coat Plus for a high-shine finish. 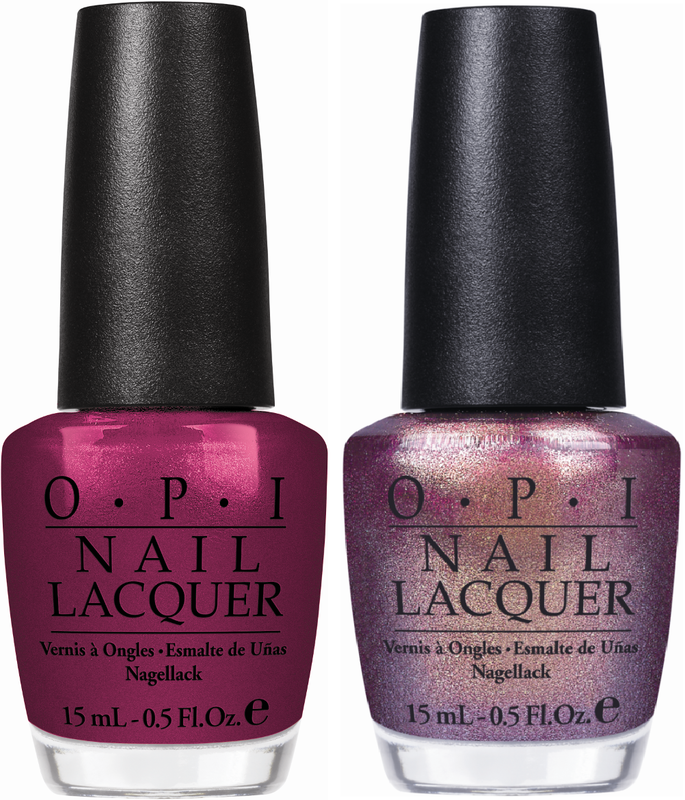 WHERE YOU CAN GET IT: Nicole by OPI Nail Lacquers and Nail Treatments contain no DBP, Toluene, or Formaldehyde. Nicole by OPI formulas are long-lasting, fast-drying, and salon-quality, with products featuring the Perfect Stroke brush for streak-free, even coverage. Texture Coat will be available July 2011 for $7.99 each at ULTA, Target, Meijer, Harmon, Wegmans, Sears, and H-E-B. Texture Coat will be available in Canada at Shoppers Drug Mart, Walmart and Loblaw. MY THOUGHTS: So… what sounds like more shatter? I’m hoping it’s not… only because OPI has all of these colors except gold. Whee! Spring and Summer always bring around such awesome nail art techniques and colors! The sky is blue, the grass is green, the weather is nice, and the flowers are in bloom! Speaking of flowers, here’s OPI’s press release on their Summer collection called Nice Stems! Play the Peonies — We’d put our money on this lovely soft pink. Come to Poppy — Surrender to shine with this shimmering coral-pink. Be a Dahlia Won’t You? — Give the gift of fabulous fuschia- to yourself! I Lily Love You — Fall head over heels with this light pink sparkle. OPI polishes contain no DBP, Toluene, or Formaldehyde, and feature OPI’s exclusive ProWide™ Brush for the ultimate in application. It’s about time to roll out the Summer collections and that means PR, PR, and more PR! Which is always fun! I mean, who doesn’t like to see all the new collections coming out?! 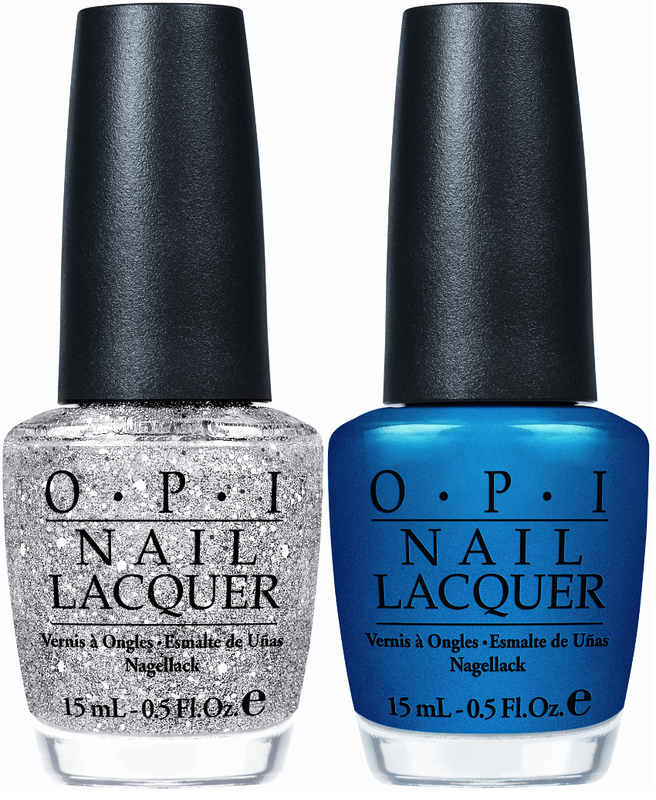 Here’s one of three OPI announced today, with the other two coming shortly! Glam Slam! England will be available beginning June 2011 at Professional Salons, including Beauty Brands, Beauty First, Chatters, Dillard’s, JC Penney, Pure Beauty, Regis, Trade Secret, and ULTA, for $14.95 ($20.95 CAN) for each duo-pack.